The Samsung LED Monitor Series 1 comes with a stylish design that includes a high glossy look. With its no-frills minimal stylish, it sticks to the basics while being sophisticated. Its unique neck structure saves space and also lends it a structural beauty. 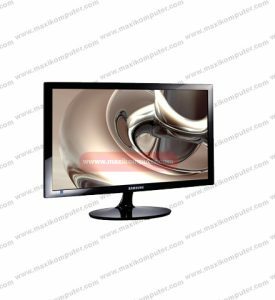 You can get all your work done with this sleek monitor. Magic Upscale improves image quality to such a level that you will only receive a better picture. Enjoy enhanced image quality no matter how the original picture quality is. Magic Upscale prevents image degradation when scaling up and gives only brilliant and pristine colours and images. And it also makes images on the monitor appear clearer and sharper than on a note pc. Shine with Samsung LED Monitor Series 1.